"Where were you while we were getting high?" Remember Two Things (1993), Live Trax Vol. 1: Worcester, MA December 8, 1998 (2004), Live Trax Vol. 3: Hartford, CT August 27, 2000 (this album) (2005), Live Trax Vol. 9: Las Vegas, NV March 23-24, 2007 (2007), Live Trax Vol. 8: East Troy, WI August 7, 2004 (2007), Live Trax Vol. 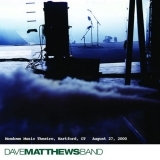 21: San Diego, CA August 4, 1995 (2012), Live Trax Vol. 39: Oakland, CA October 31, 1998 (2016).